each having invaluable knowledge of their local rivers. as providing advice and guidance on fly selection and tactics. equipment for a fishing trip and then transporting it half way across the world. and hassle free. All you need to bring is some luck! We at Salmon Fishing Holidays Scotland have been fortunate enough to gather a wealth of experience and provide you with a world-class international guiding team. We have a unique blend of local Scottish as well as Scandinavian guides on our team. We are therefore able to offer guided salmon fishing trips in Scotland. If you are an angler that is new to the sport or just wants some tips on how to fine-tune your technique, having a good salmon fishing guide can be priceless. Your Scottish salmon fishing guide will accompany you on your day’s fishing, providing you with that unique personal one to one service. Throughout the day, he will give you expert advice on what tackle to use, pointing out the best salmon fishing lies, as well as giving any help needed with fishing technique and fly casting. When you hook that salmon of a lifetime, your guide will be at hand to advise you during the long and exciting fight, ensuring that you have the best chance of landing that unforgettable fish. Our guided salmon fishing in Scotland service caters for anglers that are new to the sport, who have never held a fishing rod in their life, through to the more accomplished anglers, who are looking for some key local knowledge, which can often be the difference between success and failure. Many of our guiding team are based close to the rivers that you will be fishing on and so have an intimate knowledge of the water. Their knowledge and expertise can be key in helping you get the most from your Scottish salmon fishing experience. We at Salmon Fishing Holidays Scotland are proud to have such an experienced guiding team and when it comes to guided salmon fishing, their passion, knowledge and enthusiasm is unrivalled. In addition to offering a comprehensive guiding service, we also provide tackle hire if required. We at Salmon Fishing Holidays Scotland understand the inconvenience of having to pack all the necessary equipment for a fishing trip and then transporting it half way around the world. We can, therefore, provide a comprehensive tackle hire service, so you can travel light and hassle free. This includes all the fishing equipment necessary, including rods, reels, lines and flies as well as any fishing clothing and accessories that you may require like boots, waders and life jackets. We use premium brands like Hardy, Loop and Airflo when it comes to our equipment hire, so all you need to bring is some luck! We at Salmon Fishing Holidays Scotland, specialise in tailor made salmon fishing holidays. We are delighted to have the very talented and knowledgeable Tomas Lundqvist as a key member of our guiding team. Together with Tomas, we have designed the ultimate three-day salmon fishing Master class course on the banks of the mighty River Tay, in beautiful Perthshire, Scotland. During the three-day course, you cover all aspects of fly-fishing for salmon. In addition to this you will also have the unique opportunity to experience salmon fishing on one of the world’s most famous salmon rivers. 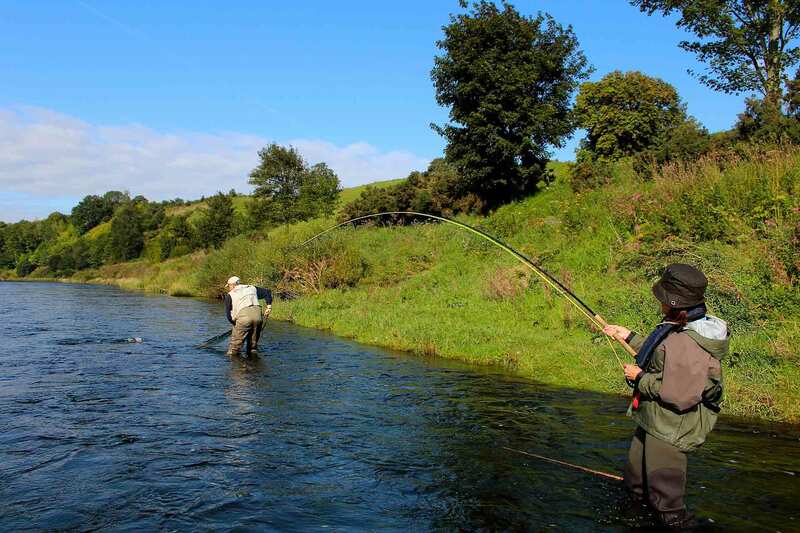 The course encompasses Spey casting demonstrations, lectures on line and fly selection as well as a valuable insight into watercraft, salmon fishing tactics and safety. In addition to this, you will also have the opportunity to learn traditional Scottish salmon fishing techniques with a local ghillie. The course aims to give you a better understanding around fly fishing for salmon as well as giving you tips on how to improve your casting technique. The course caters for anyone, from individuals that are new to the sport right through too more accomplished anglers. 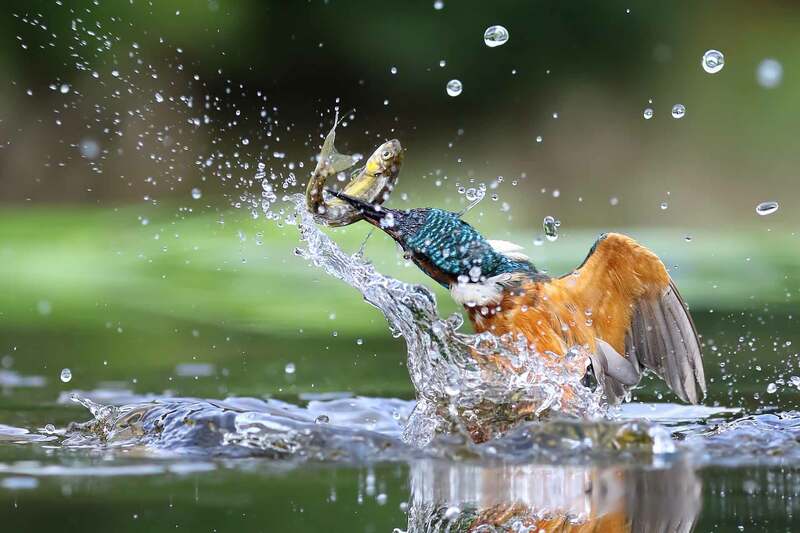 After completing the course, you will feel that you now have all the knowledge and skills needed to do battle with the wild Atlantic salmon, anywhere in the world. This is an unforgettable once in a lifetime experience which combines expanding your all-round salmon fishing knowledge and improving your fly casting all on the back drop of the magnificent River Tay in Scotland. It is a must for any salmon angler aspiring to improve their skills and gain more knowledge and experience, so their salmon fishing ability is brought to the next level. The highly talented and knowledgeable Tomas Lundqvist will be your Master class instructor. Tomas lives in Valbo in Sweden. 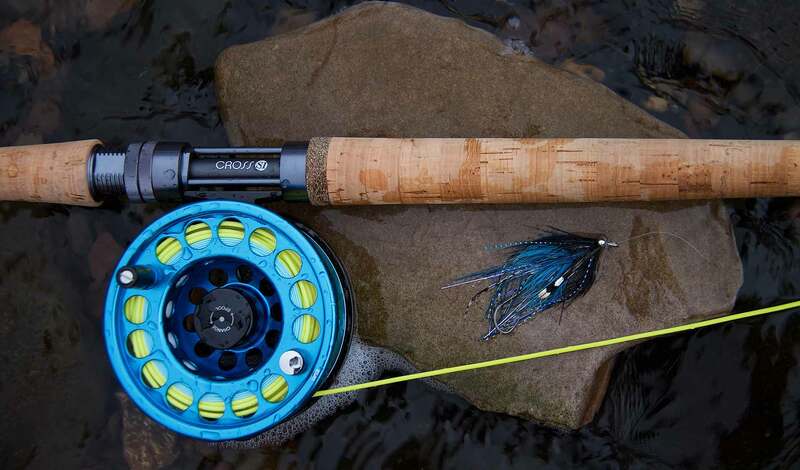 He is a certified casting instructor for the International Federation of Flyfishers (IFFF). He is also a double-handed certified casting instructor. Tomas is therefore highly qualified to teach the art of Spey casting for salmon. Tomas has already run several courses worldwide and he has an unbridled passion for sharing his knowledge and skills with fellow anglers. Tomas has fished for salmon all over the world including in Iceland, Norway and Scotland. Tomas has a wealth of salmon fishing experience, which is second to none. This combined with his unrivalled passion for teaching fly casting as well as the finer aspects of salmon fishing makes him the perfect person to lead your Scottish salmon fishing Master class. Please feel free to contact us if you would like more information on the Salmon Fishing Holidays Scotland Master class. Prove your not a bot. What is 23 + 42?